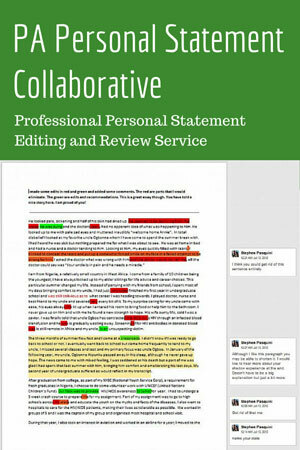 In this special week-long introductory session of the personal statement workshop, we are pulling essays submitted from the comments section through our free essay submission process and providing you, and our users, with a more thorough analysis of their essays. Since examples often make better teachers than words, pay close attention. You may find just the advice you were looking for. 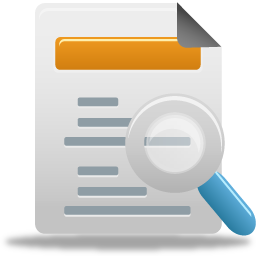 We will present you with the original essay and then our suggestions. Use this as a guide to see where you can improve your own writing and of course, as always, respect the work of others. It should go without saying this is not yours, so don’t plagiarize. The patient was an 8-year-old boy, dizzy, scared, and angry. His hearing aids weren’t working for him and the world was a cacophony of distorted sounds that made him unwilling to spend time communicating with his family, teachers, and friends. But on this day his physician assistant kneeled down to his eye level, and communicated with him slowly, by writing his thoughts on paper and by mouthing his words so the patient could understand, to ask what was wrong. The physician assistant made the patient feel safe through his clinical empathy and bedside manner. His treatment helped the patient get better and feel happier. The patient was me. The physician assistant was Danny Kamlet. Danny had no way to understand the chilled isolation I felt as a hearing impaired youth; when I desperately wanted to hear the joke everyone laughed at, the teacher’s explanation for the math problem on the board, or to flirt with the cute girl. Teachers had said I was a poor student when the reality was that I couldn’t read their lips and understand them as they faced the blackboard and lectured. Many of my hearing-disabled peers, unfortunately, didn’t graduate high school or college but I persevered due to the compassion, communication, and resourcefulness of my mother and health care providers like Danny. My mother supported my deaf brother and me by herself; if one of our hearing aids broke, she took out mortgages on her house so that we could get another one. She read with us every night to help us learn what we didn’t in school, instilling in me an appreciation for hard work and education so I could thrive. I learned to compensate by studying with other students, and communicating with my teachers so that I can excel in my courses. Danny and other health care providers helped change my life for the better through empathetic communication in addition to their medical knowledge. A few years ago, after I finished my sophomore year of college, my doctor and audiologist helped me receive financial support to get cochlear implants that have greatly improved my hearing and quality of life. After college, my physician assistant Michael Johnson used his inquisition in a general checkup to find that I was losing eyebrow hair and was consistently fatigued. He surmised that I might have hypothyroidism and low vitamin D blood levels and subsequent tests confirmed this to be true. His prescription of Levothyroxin and my supplementation of vitamin D have helped to improve my energy, mental acuity, and metabolism. Because of my amazing health care providers, I’ve grown so much as a person and student in recent years. With my improved hearing, I’ve taken up new hobbies that I previously would have avoided, such as blues dancing. In the 47 credits I’ve completed after receiving treatment for hypothyroidism and upgrading my cochlear processors, I’ve excelled with a GPA of 3.76. I owe so much of my improvement to the care of my physician assistants. In the model of compassionate giving set by my health care providers, I’ve tried to live my life doing what I can to help those that are less privileged. I’ve helped other deaf people get disability benefits so they can afford critical equipment upgrades. I spent time in college baking bread for the abused women of Safe Harbor through a group called Baked Benevolence. I asked my friends to give my twenty-first birthday gifts to my run-a-thon effort at my college, and raised over 200 dollars for abused children of Knox County. I will never completely understand the gamut of emotions that abused children and women have gone through but I empathize with them having uncertain health and understand how to communicate and help them. By contributing to their lives, I found fulfillment as a member of a healthy community; treating individuals of all backgrounds with respect and grace. This is why I want to be a physician assistant! I want to communicate and empathize to help the scared and confused patient feel safe and informed. I want to give comprehensive examinations that get to the root of each symptom and communicate how to afford and administer treatment. I want to help underserved populations receive the full extent of health benefits possible. As someone who overcame a disability through excellent health care, I dream of helping other underserved populations receive the best health care possible. The opening two paragraphs of your essay are excellent. They grabbed my attention immediately, and made me want to keep reading. That’s your goal! You could eliminate a few words to make it flow better. For example, here’s a revised sentence. I’m guessing you won’t miss any of the deleted words. You don’t need the third paragraph at all. It’s lucky that you have such a wonderful mom, but the information about her doesn’t help the admissions folks know you better. Omit it and use the space to elaborate on your qualities and skills. The problem continues in the fourth paragraph. It’s good to explain that health issues impacted your grades (Admissions Directors want to know why they weren't good), but the details aren't necessary. Take this revised sentence for example: “After College, my physician assistant Michael Johnson used his intuition and skills to discover I suffered from hypothyroidism. His diagnosis and treatment have helped to improve my energy, mental acuity, and metabolism.” It says everything the reader needs to know. While it’s great that you do amazing volunteer work, you’ll need to explain how those experiences contribute to the skill set you’ll need as a PA. Your ability to empathize and communicate with those less fortunate is well established. What else have you learned? Has the volunteer work increased your leadership or decision-making skills? Your ability to work as part of a team? Have you needed to remain calm when shelter clients are upset? I’m assuming you don’t have job or shadowing experience in the medical field because it’s not in your essay, so you’ll need to beef up skills you've acquired in other aspects of your life. 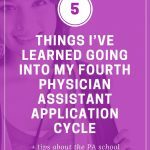 What you also need to do is explain more specifically why you want to be a PA. 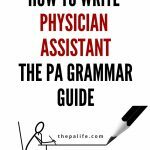 There are a million things you could do to help people in the way you mention in your last paragraph — many in the medical profession. Why not be a nurse or a doctor? 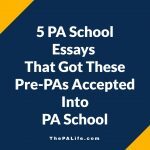 Your job is to convince the admissions folks that being a PA is the only option that interests you and to show that you have much to offer their program. Go back through your essay and scrutinize every sentence. Does it help Admissions Directors and faculty know something new about you? If it doesn't, out it goes. By the way, ditch the exclamation point. Never use them in essays. Your words should be the exclamation point. 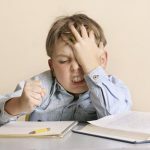 We offer a bit of free guidance to anyone who takes the time to submit their essay in the comments section of the blog. 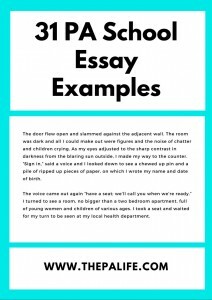 But your essay deserves more than just a quick spell check or a read through from a parent or relative. 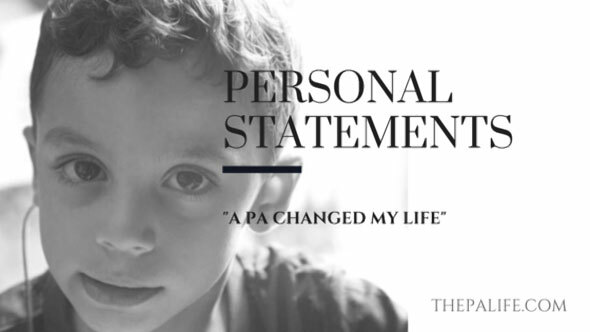 Personal guidance from our team of professional writers, with inside knowledge into the PA school personal statement. Telephone consultations are included with purchases of two hours or more. It's often hard to communicate exactly what you want hundreds of miles away; for this reason, we offer the option to edit right alongside us over the telephone while sharing in real-time over Google Docs. 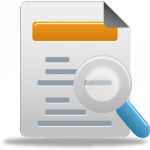 We provide feedback, advice and help with brainstorming and topic creation. We will help with a "final touch up" before the big day in case your essay needs a few minor changes. 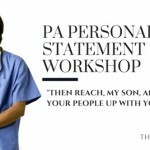 I just wanted to take the time to comment on the services I received from the PA Life. I was extremely stressed out about writing my personal statement and finally decided to search the internet for advice and assistance. 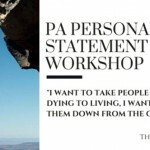 I came across the statement editing service on the PA Life and decided to give it a try. I received a response within a day or so, and my stress was instantly relieved. I worked personally with Duke to edit my statement, and he is a phenomenal writer. He didn't change the content of my statement, but rather helped me tell my story in a way that is much more desirable! I cannot recommend this service enough to others seeking help on their personal statement. Duke was friendly, sincere, and definitely experienced! I felt 100% confident in his editing abilities, and we worked together the entire time so that we were both pleased with the results! Thanks again, Duke, for all of your help!Chelsie, K.
We are currently accepting essays in all iterations. We have flexible pricing and can do everything from a single one-time edit to a full-service review that will take you from beginning to a finished product. Hurry, as we can only accept a few essays each month. 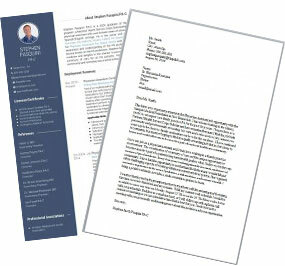 Click here to post your essay or learn more about our service. Don't miss a post in this series! Before you go, make sure to sign up for automatic updates from the blog. And if you haven't already, sign up for the FREE email newsletter (down below) or connect with me on Facebook or Twitter. I’ll definitely respond, and I look forward to meeting you! Cheers!